The margin of error in business today is razor thin! Why take a chance on your Relationship Capital? Prioritize, measure and advance the key relationships that mean the most to your business. The Relationship Engine® training program is based on the Five Principles of Relational Leadership from our best selling book. Transform your digital contacts into high performing relationship capital! How does your Relationship Capital stack up? Take a Free RQ® Assessment and see where your relationship capital stands! 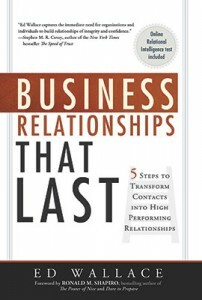 5 Steps to Transform Contacts into High Performing Relationships. systematic relationship training program for advancing relationship capital. We provide a blend of personal and technology-driven relationship training solutions for the world's leading companies. "The best money we ever spent!" "I strongly recommend the Relational Capital Group to any firm we don't compete with!" "Customer results have been outstanding. Just 3 months after implementation, the Relational Ladder process is now part of our DNA!" "We've experienced breakthrough victories with customers from working with The Relational Capital Group." 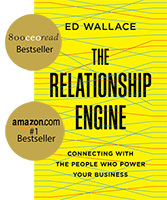 “In Business Relationships That Last, Ed Wallace captures the immediate need for organizations and individuals to build relationships of integrity and confidence."